Costa Rica is a well known travel destination throughout the world. 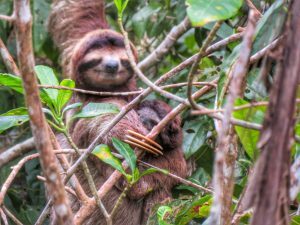 Lush rainforests full to the brim of wildlife, adventure sports galore, and gorgeous beaches on both the Pacific and Atlantic coast make this the most visited country in Central America by far. We have been here before, taking 2 weeks to travel around Costa Rica in 2015 where we got to experience all of its charms and Costa Rica will always have a special place in our heart. 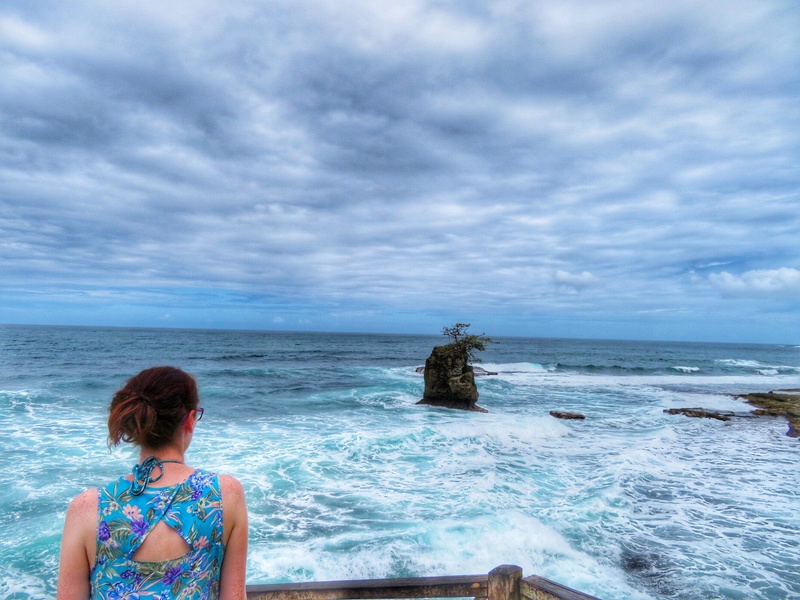 There is just one problem with this gorgeous country – its too damn expensive! We knew that if we were to extend our backpacking adventures for as long as possible that we needed to make our stay in Costa Rica as short as possible. For this reason we decided to pay a ludicrous amount of money ($120) and get a shuttle direct from San Juan del Sur in Nicaragua to Puerto Viejo in Costa Rica. We spent this money as we believed that covering all that distance in one day, and not having stay over in some locations to break it up, would be worth it in the long run. So we hopped on the Caribe Shuttle (fantastic service) at 6am and arrived in Puerto Viejo just after 4.30pm. Puerto Viejo de Talamanca (to give it its full name) is a town on the Caribbean sea, close to the Costa Rica/Panama border. 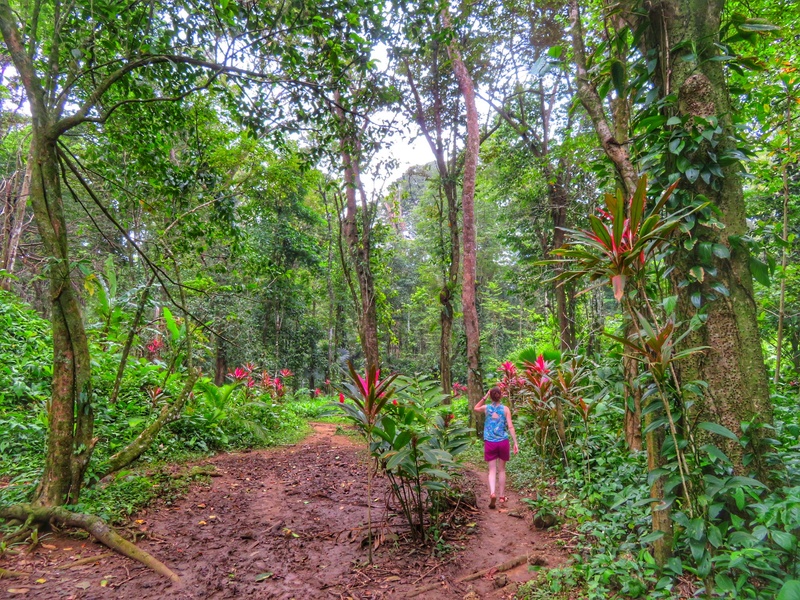 It feels different to most towns in Costa Rica, that Caribbean vibe really filters through. It is a small town but one that has grown as the tourists have flocked to it. 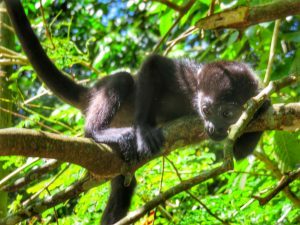 Its main attraction is it proximity to a number of key activities, such as Cahuita National Park. Puerto Viejo has a TON of things for you to do, but these were our favourite activities when we visited. This was my personal highlight from Puerto Viejo. We rented a banana bike (basically a bike with no brakes!) from our hostel, Kalunai (they normally charge $5 USD but we got ours for free). 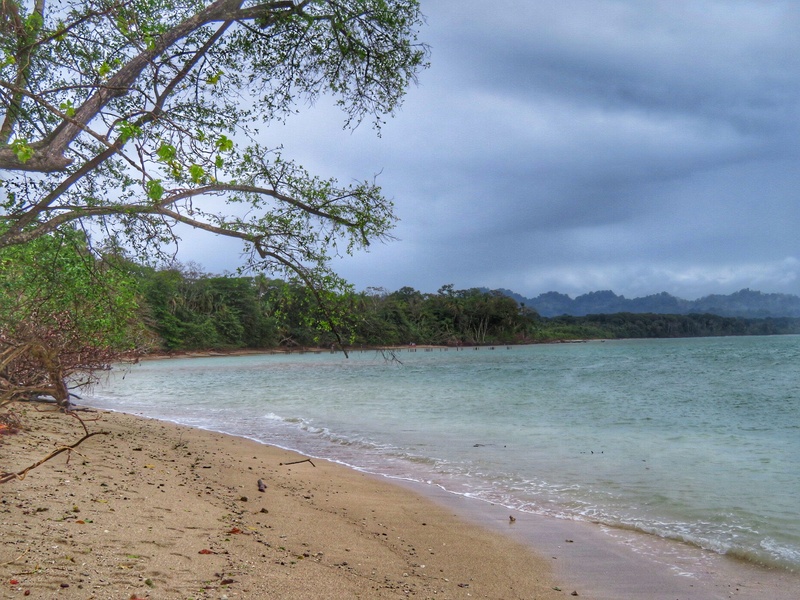 We set off from Puerto Viejo in the direction of Manzanillo (about 14km). The road is straight apart from two hills near to Manzanillo, making it ideal cycling terrain! Jungle lines the road on both sides and you can hear and see all kinds of wildlife, from Toucans to Monkeys. Some of the signs you will see on the road! 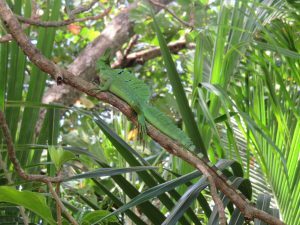 We visited the Jaguar Rescue Centre (more on that later) and Gandoca-Manzanillo National Wildlife Refuge (ditto) on our day on the bikes. But we also stopped at all the little beaches along the way. Our personal favourite was Playa Uva, be sure to check it out and soak up the sun! This place is amazing and completely free! It is located at the end of the beach at Manzanillo and is famous for the view points along the coast that you can get when there. We delved a little deeper into the rainforest and we were fascinated by the different flora and fauna that we spotted along the way. 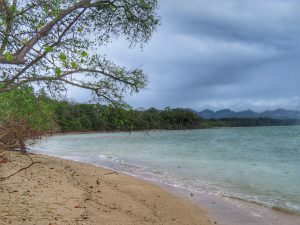 There are also some secluded beaches located within the Refuge that were perfect for a picnic stop for us! It is famous for its viewpoint! 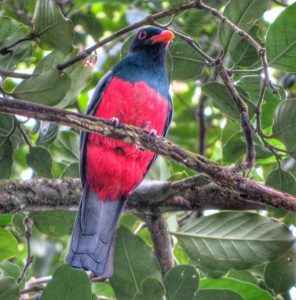 You may spot a bird or two! When I think of Central American National Park’s I think of Costa Rica. 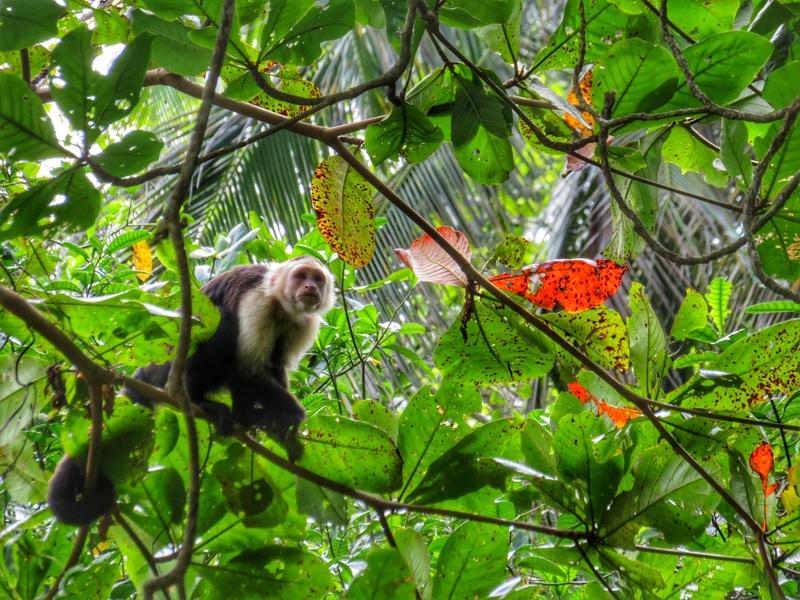 Costa Rica is one of the world’s leaders in conservation and they currently have 27 national parks! My number 1 thing to recommend to people when visiting Costa Rica is to visit a National Park. 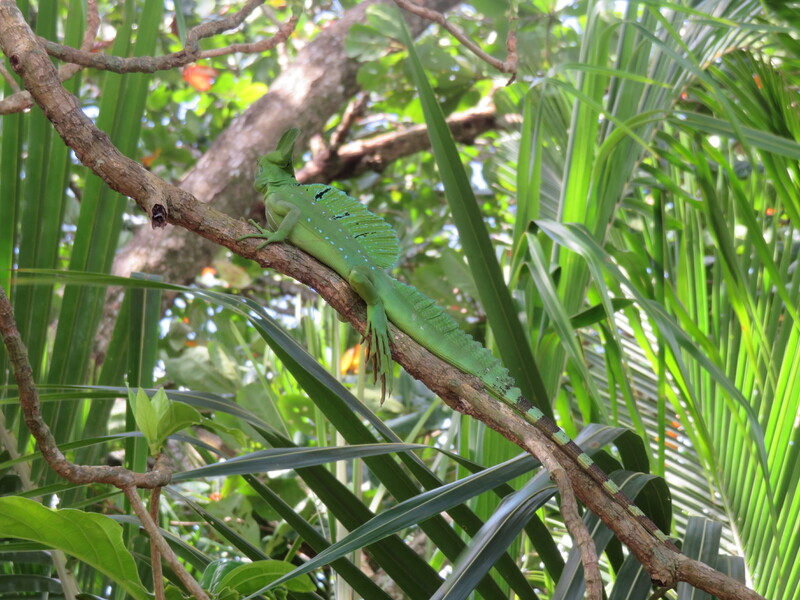 There is an abundant amount of wildlife and picturesque flora in every park that we have visited. 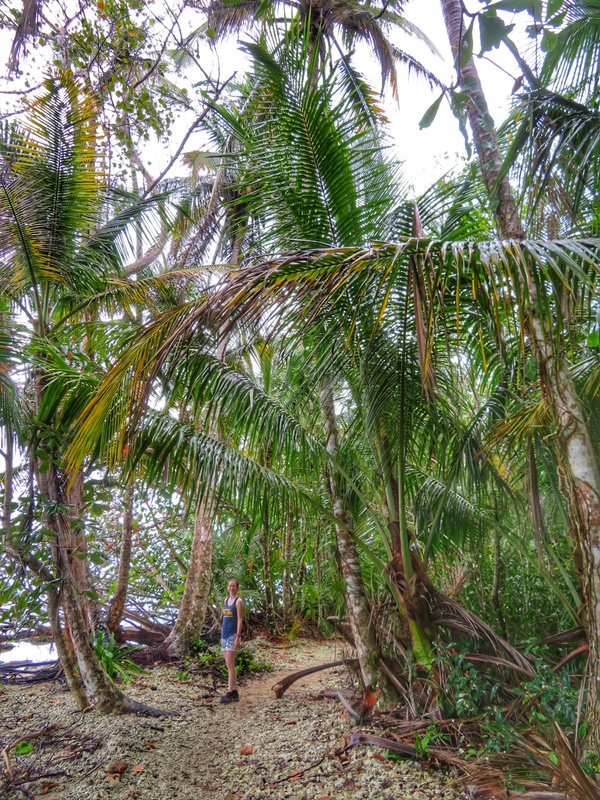 Cahuita was no exception. One thing that differentiates Cahutia from the other national parks however is that it is completely FREE. When you sign in for the park they give you the option of giving a donation – do it, its going to a good cause! 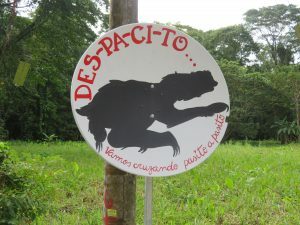 Make sure to enter at the main entrance, the other entrance, Puerto Vargas (nearer to Puerto Viejo) has an entrance fee! 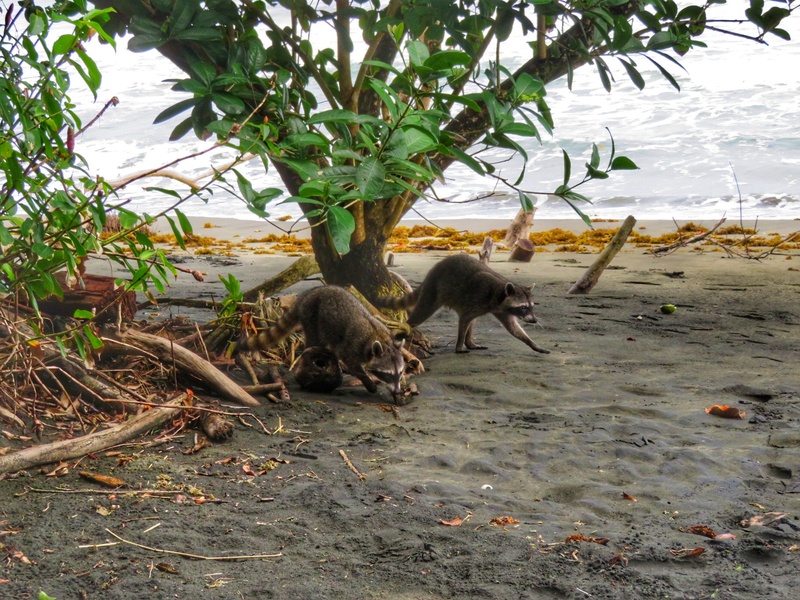 You will spot these racoons along the way! As soon as we entered the park we spotted monkeys and sloths. 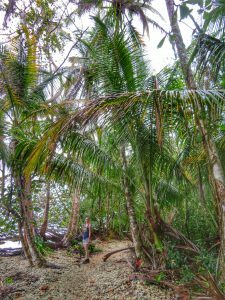 We walked the entire 8km trails but if you want to do this make sure you leave early as the midway point of this trail (Cahuita Point) closes at 2pm! 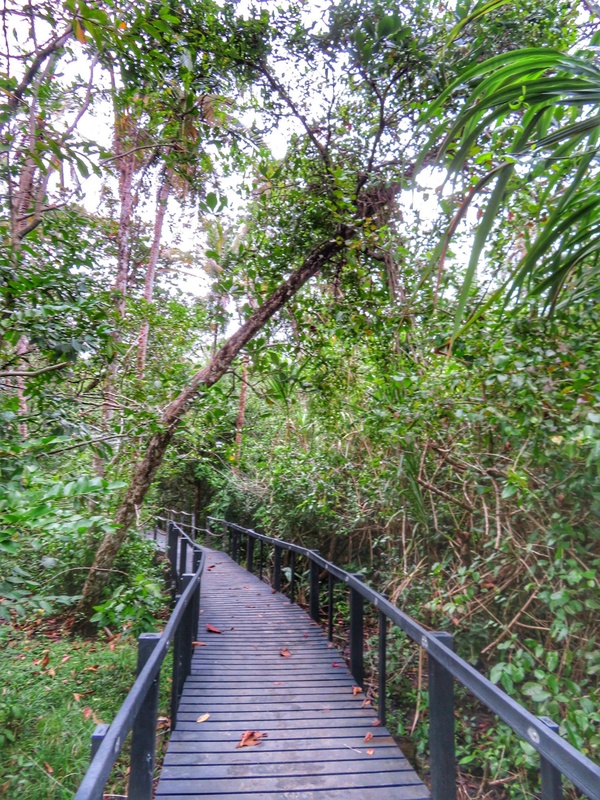 The trail itself is mostly by the coast, but you do have to cross a couple of (shallow) rivers, so plan accordingly! 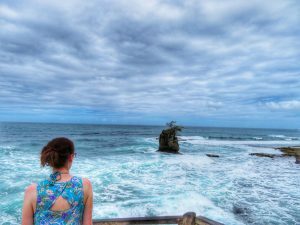 We entered in the main entrance, had a picnic lunch at Cahuita Point and then walked towards the Puerto Vargas entrance to catch the bus back to Puerto Viejo. From the main entrance to Cahuita Point we saw alot of wildlife. 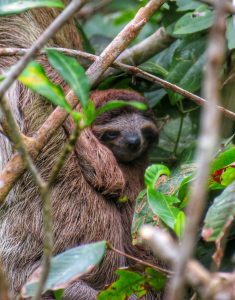 However from Cahuita Point to Puerto Vargas we saw very little, and the last couple of kilometres were just by the road. 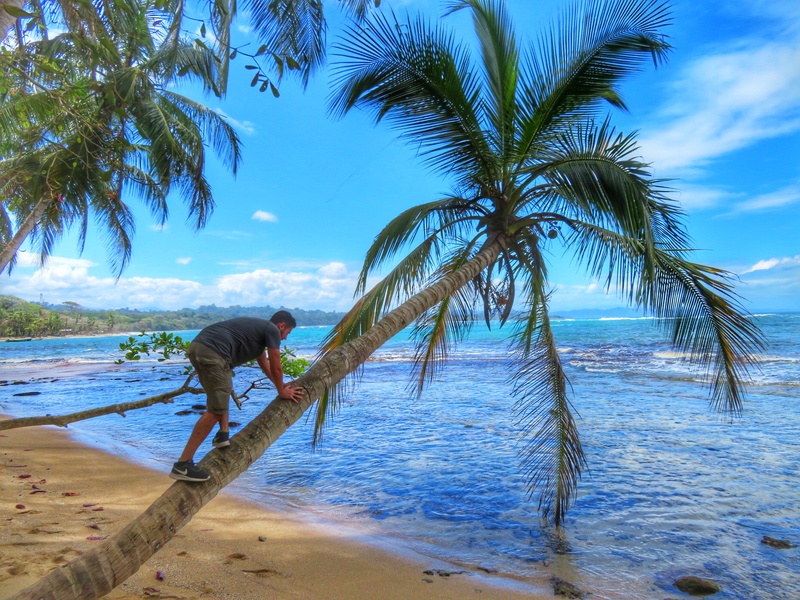 If you aren’t in a rush we recommend you do the full loop, but if time is an issue then it is probably better to turn around at Cahuita Point! 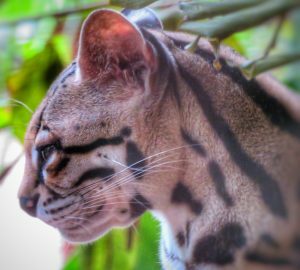 The Jaguar Rescue Center is located in the next town to Puerto Viejo, Punta Cocles and is a rehabilitation center for injured wildlife. There are two public tours a day which you can sign up for; 9:30am and 11:30am and the tour last for 1.5 hours. 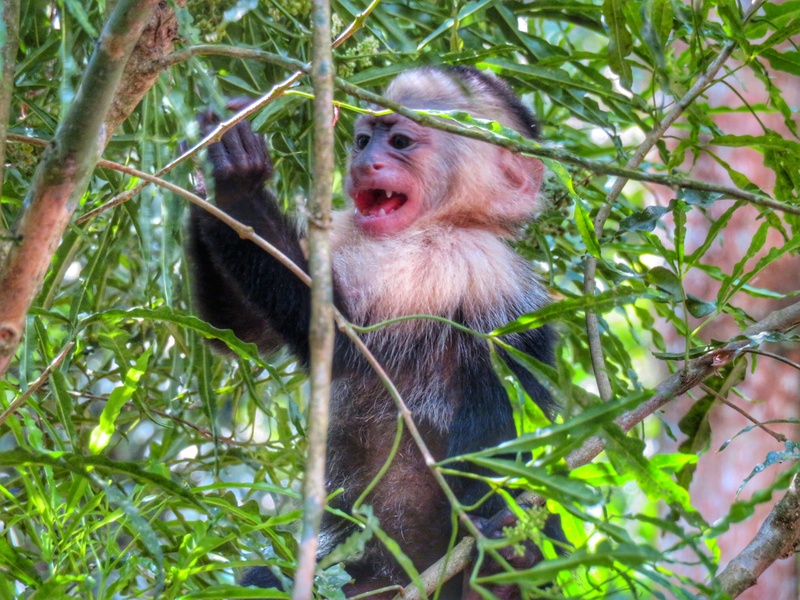 How cute are these baby monkeys! The fee for the tour is $20 per person. Yes, that was totally out of our backpacking budget, however this was for such a good cause that we didn’t mind too much. The center is busy, a lot of tourists come here, but they do a good job of dividing groups into smaller groups so you never feel like you are just being herded around. What you see during the tour depends on what animals are currently in the center for rehabilitation. So more often than not there will not be a jaguar! We did see sloths (alot), howler monkeys, squirrel monkeys, and an ocelot. 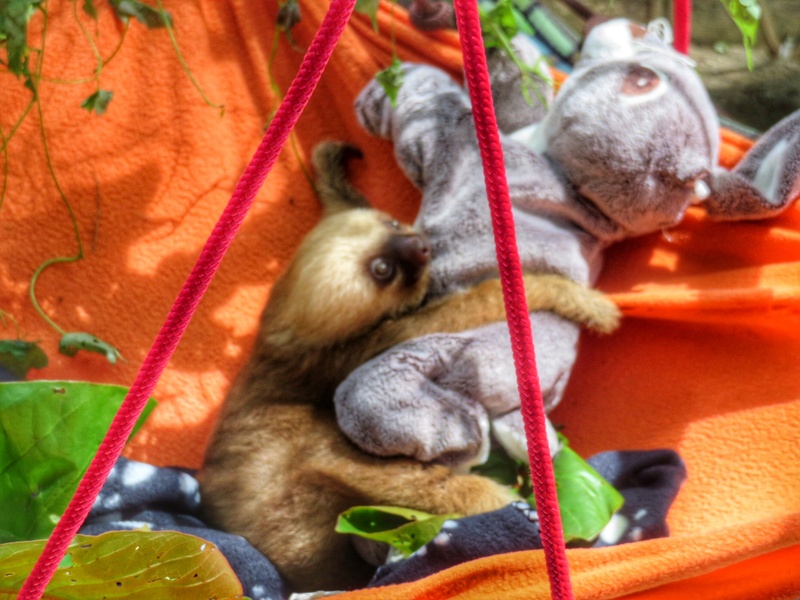 Our favourites were the baby sloths and monkeys – so cute! 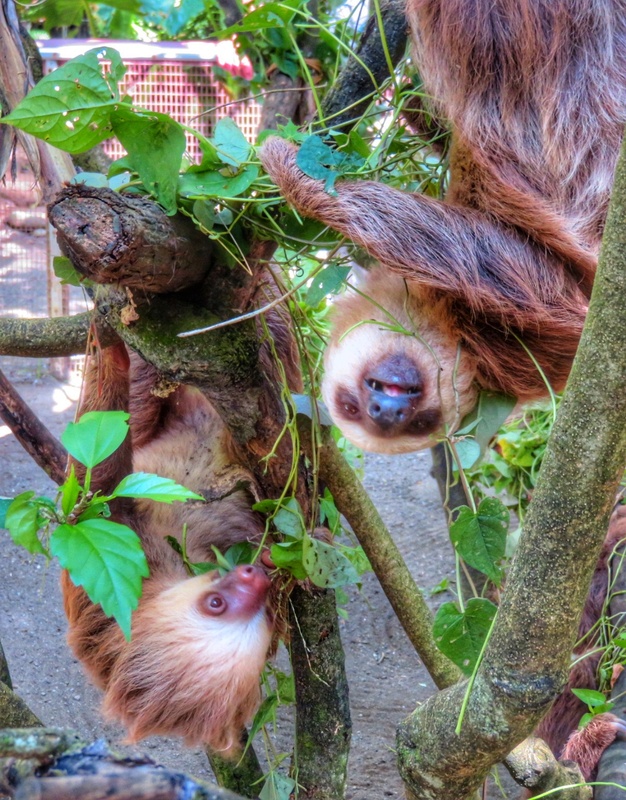 There are lots of sloths just hanging around! 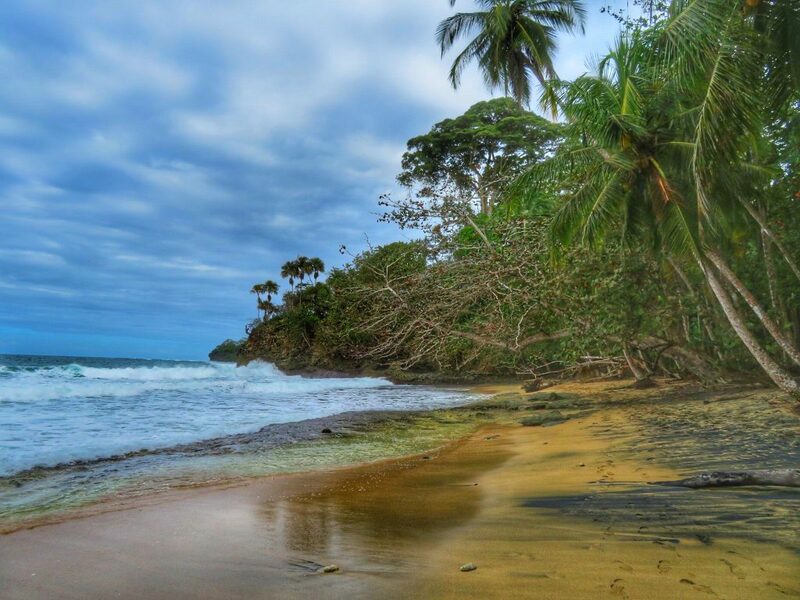 Have you been to Puerto Viejo or are you planning a trip here? Let us know! 1 Comment on "Puerto Viejo – Costa Rica’s Caribbean Gem"